For those of you lovely ladies (and gents!) who read the book I recently co-authored, you learned that Sunday night dinners at my grandparent’s house were a cherished childhood tradition. My grandmother, a true domestic diva, would orchestrate the most special evenings, punctuated by precious time together as a family. Those weekly dinners coupled with watching my mother’s innate skill for entertaining, truly fostered my love of cooking and gorgeous table settings. Fast forward to last Sunday, and as I thoughtfully prepared my grocery shopping list, I had an “ah ha!” moment and realized we needed to reinstate the Sunday night dinner tradition! My sweet husband and I decided Sunday nights would be a night for me to cook a more elaborate meal in hopes of replicating the ritual from when I was a little girl and make Sunday nights special again. And so, last Sunday I threw on my monogrammed apron and prepared a Gwyneth Paltrow inspired menu (we’re striving to eat healthy in 2015!) and dear readers, we savored every bite! I’ll be sharing some of our “Sunday Suppers” with you, and I hope you will give them a try. What’s on the menu for this icy winter weekend? I’m thinking bouillabaisse! Cheers to Friday! Such a splendid supper! 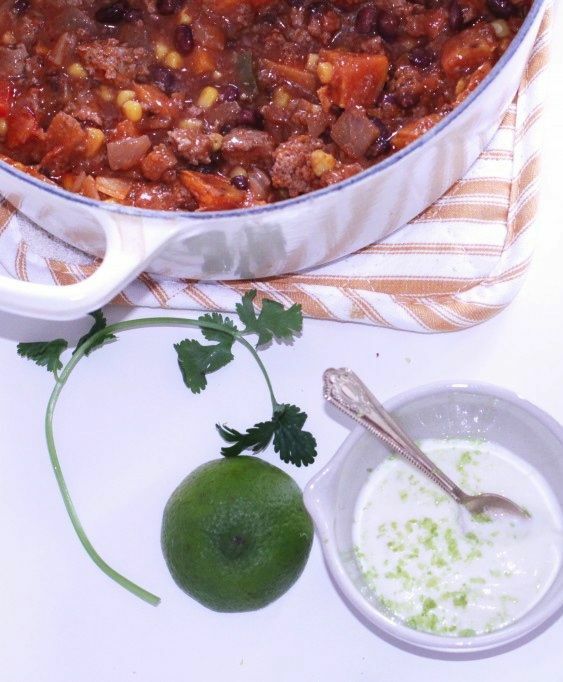 We enjoyed this chili so much this past Sunday – the perfect menu for a drizzly night in watching the Golden Globes to round out a great weekend. Instead of your cornbread I made a paleo, sweet “corn” bread – with no grains, dairy and sigh – no corn – and it was the best compliment. Coupled with your recipe, the meal was filling yet flavorful, and light. Thanks, MBB!